Updated: read our Hands on HP Mini 311 review. 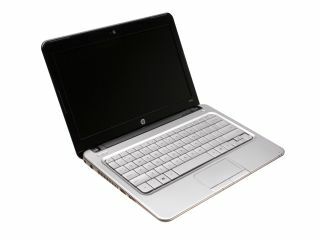 HP has announced the Mini 311, the latest in its netbook line. The £349 machine packs in Nvidia's Ion graphics processor meaning it can play 1080p video and at least make a passable attempt at gaming. At an Nvidia event yesterday, TechRadar saw Call of Duty 4 being played (with reduced detail) on the netbook, as well as HD footage (the Star Trek trailer) being played through the netbook yet displayed on an attached plasma screen via HDMI. Ion also provides 24-bit 8-channel LPCM uncompressed audio through the HDMI connector. The 11.6-inch 1,366 x 768 model has a lot to offer - not least a superb price point - and we'll be bringing you a full hands-on with the netbook later on TechRadar. Exact UK specification is yet to be announced, but we saw a 3GB model at the event yesterday, while there was also a Compaq-branded model. We've previously seen Nvidia's Ion deployed in the Acer Revo nettop as well as the Samsung N510 netbook released a couple of weeks back at IFA. The Lenovo IdeaPad S12 will also have an Ion-derivative and Nvidia says there are "plenty more to follow." Nvidia believes that a netbook with Ion offers a far better balance of power than the more expensive Ultra-Low Voltage segment of the market as typified by the Samsung X-Series and MSI X-Slim. These laptops provide more processor grunt but at a much higher price point. "This is another example how good graphics can transform an entire category of products," said Jeff Fisher, head of the GPU business unit at Nvidia, talking about the launch. "Where last month netbooks were considered inadequate, this month HP delivers an amazing product with support for HD movies, games, video editing, and more. Why couldn't netbooks do this before? They lacked good graphics."